Selfridges’ tradition of beginning the year with unexpected, thought-provoking concepts continues with the launch of Bright Old Things. However, in a twist on its annual Bright Young Things scheme, which usually focuses on the introduction of gifted young new talent, the store is spotlighting a group of exciting mature creators and artists. Mature creators and artists who are currently spotlighted in Selfridges amazing window displays! Each participant will be given a dedicated Oxford Street window with which to give the million people who pass by them every week an intimate insight into their creative visions. Special events spotlighting their work will take place throughout the scheme, including a soon-to-be-announced special programme for London Collections: Men, whilst products from selected Bright Old Things will be sold in-store and online. “One of the things we pride ourselves on is telling great stories. How better to start the year than by celebrating fourteen of them? 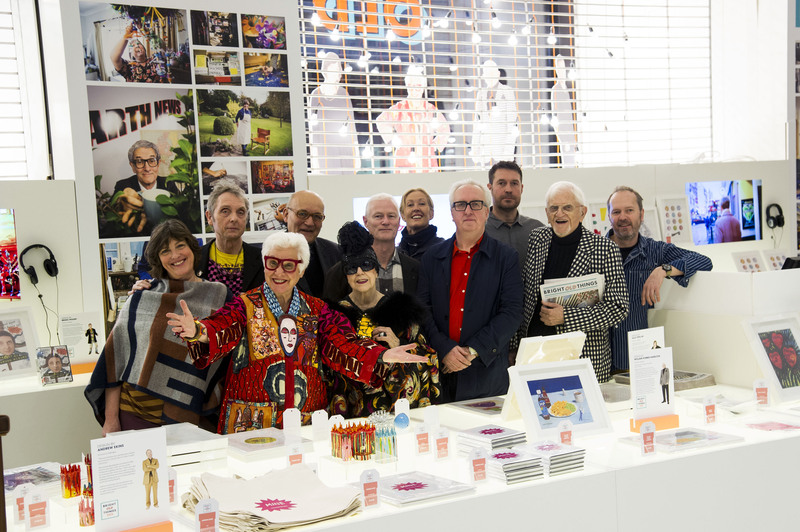 As a centenary-old department store which has been successfully reinventing itself over and over again, it made so much sense for us to shine a light on the wealth of talent and experience harnessed by bright older creatives. These people can definitely teach us all a thing or two about growing old whilst staying young at heart and relevant”. Offering deeper insight still into the lives and legacies of the Bright Old Things, Selfridges has invited Todd Selby to capture each of these fascinating subjects in their homes and creative spaces. From retailer-turned-designer Nick Wooster, one of the world’s most photographed men in his fifties, to Molly Parkin – one time Fashion Editor at The Sunday Times and now a talented painter at 82 – by way of Bruno Wizard, 64, “the most famous punk you’ve never heard of”… Bright Old Things is a joyful reminder that it’s never too late to try something new. Since 2011, Selfridges’ annual Bright Young Things initiative has established itself as an exciting showcase which includes alumni such as fashion talents Simone Rocha and Astrid Andersen, set designers Rhea Thierstein and Anna Lomax, and ‘haute coiffure’ designer Charlie le Mindu.